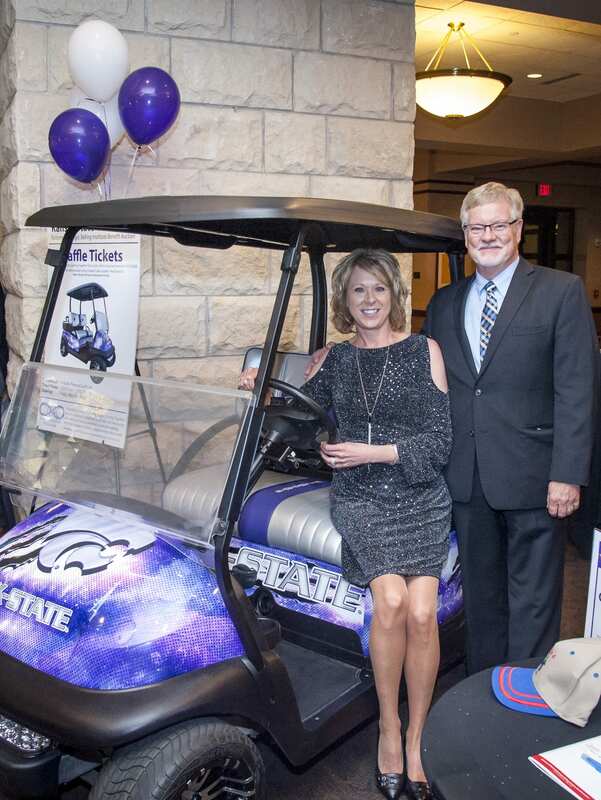 The National Strategic Selling Institute held their 6th Annual Benefit Auction on Friday, May 4, 2018, at the K-State Alumni Center in Manhattan. Put on every year by students in the Advanced Selling class, this experience allows students to learn about territory management, prospecting, phone sales, and the sales process in a real-world setting. Over the course of the semester the 71 students enrolled in the class transformed into true sales professionals, learning how to prospect, deliver value and use a customer relationship management system in the process. Together the students raised $48,000, which is given back to sales students as merit awards. An additional $10,000 was raised for Coming Together for a Cure, Wichita, which was chosen by the students as the charity partner for the event. This non-profit organization is making global strides in raising awareness and support for the advancement of adult stem cell therapy. Stan Weber, an alumnus of the College of Business Administration, served as emcee of the event with Michelle and Matt Canny of the Canny Team overseeing the auction portion of the evening. 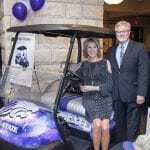 The highlight of the evening was drawing the raffle ticket winner for a customized K-State themed golf cart, which went to Jon and Jodi Prescott, Great Bend. The National Strategic Selling Institute is an established Sales Program in the Department of Marketing in College of Business at Kansas State University. Under the direction of Dr. Dawn Deeter-Schmelz, the program has been named one of the top sales programs in the country for six straight years by the Sales Education Foundation. Students can earn a Certificate in Professional Strategic Selling, which is open to all majors in the university. The certificate program introduces students to the fundamentals of sales and, through the innovative curriculum and sales labs, allows students to develop the skills needed to be successful. Beginning in fall 2018, Kansas State will become just the 19th university in the U.S. to offer a major in Professional Strategic Selling. For more information on the National Strategic Selling Institute, please contact kstatesalesprogram@ksu.edu. The National Strategic Selling Institute has scheduled next year’s Benefit Auction for May 10, 2019 at the K-State Alumni Center.